Tapping into Twilight: What is your unconscious mind trying to tell you? In the last post, Get Your Mind Right, I gave a general overview of the different types of brain waves, frequencies, and their associated states of mind. I got a ton of interest in one particular type of brain, theta. This was unexpected but exciting. So, this week I’ve decided to focus on theta brainwaves and how you can take full advantage of this powerful state of mind. If you remember, theta waves vibrate at a frequency of 3 Hz to 8 Hz and can be thought of as twilight or transition waves. This is the beautiful state of mind you reach when going from awake to asleep, or from asleep to awake. You are sort of suspended in twilight and everything has a dream like quality. You have some remnants of dreams floating around and if they are pleasant or significant, you are often trying to grasp them before they float away. Why is this state of mind so important? This is a bridge between our conscious and unconscious minds. This is huge. 1. Set an intention before you sleep—Remember, you cross the theta bridge both when falling asleep and when waking up. Set an intention to bring back any wisdom or answers to questions you have about your life upon awakening. Let this be the last thought on your mind before you drift off to sleep. 2. Wake up easily—Do not “alarm” yourself first thing in the morning. You have enough stress and tension during your day. This is something you can control. Make it a priority to wake up to something soothing and comforting. Not only will this help you maintain your twilight state a bit longer, but it will make a huge difference in how you start your day. 3. 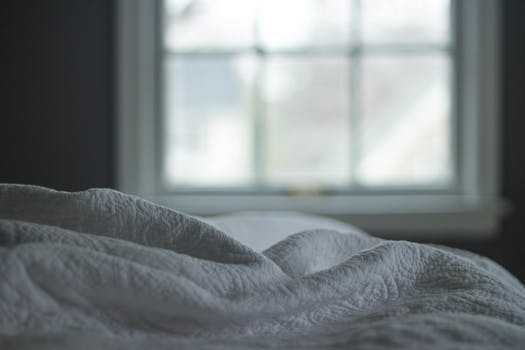 Stay in your bed or in the room once you awaken—The further you move from the place where you were sleeping, the faster this state will leave you. Stay put. 4. Finish the dream if you can—Do you have time to go back asleep for a few minutes? If so, drift back and solidify as much as you can. 5. Sleep away from your phone and computer—These things should be out of the room, or at least across the room. This way, you resist the temptation to grab an electronic device first thing in the morning. You want your first thoughts of the day to be yours, not someone else’s. 6. Keep a journal within easy reach—You should be able to touch this with your eyes closed! Scrap paper and crayons work too. Use whatever you have handy. Write down any and everything that comes to you as soon as you wake up. Don’t analyze or think about it at all. Just write down everything you remember—who was in your dream, what it was about, any insights that came to you and any voices you heard. You will become an expert at sorting out the pieces later. I hope you see much success with this. I have had so many insights simply by paying attention to what I hear in the morning. I know you will as well. Previous Get Your Mind Right!